When developer Stig Wennerstrom and his wife, Britt-Marie, set eyes on the Blue Ridge Mountains, they instantly fell in love. 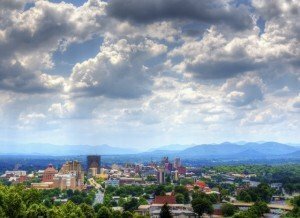 They had been searching for an area where it wasn’t too hot or too cold, and Western North Carolina was the perfect in-between with a mild, 4-season climate. After finding beautiful properties in the area, they brought to life their idea to help others create and build their dream homes—the start of Vista Developers. 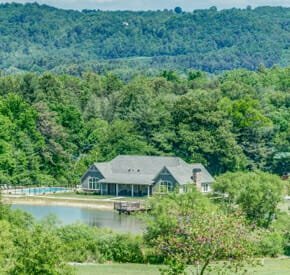 Now the family team, which includes their daughter and son-in-law, is developing beautiful upscale, gated communities with state-of-the-art amenities among the forests of the Blue Ridge Mountains. 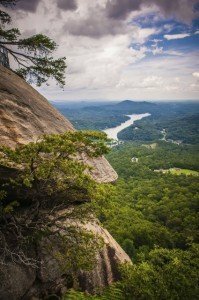 Situated nicely in the town of Lake Lure, NC, is Vista at Bill’s Mountain. With 800 acres of breathtaking NC mountain property, this community is something special. Paved roads, all underground utilities in, and completed amenities is just the beginning of what Bill’s Mountain has to offer. There is plenty more to take advantage of within the community, like the clubhouse, exercise room, pool, tennis courts, and walking trails. Home could be one of the condos in The Villas at Red Hawk Knoll. These condos have 2-3 bedrooms and top-of-the-line finishes like granite counter tops, hardwoods, and stainless appliances, creating the perfect mountain retreat. Bill’s Mountain’s location is perfect for those who love to hike, bird watch, or fish. Lake Lure sits in the heart of the Hickory Nut Gorge, with attractions like Chimney Rock nearby. You’ll also be able to hit the links, with 3 outstanding golf courses to choose from: Apple Valley, Bald Mountain (both of which are privately owned), and Lake Lure Municipal Golf Course. Vista at Blacksmith Run is another one of Vista Developers’ communities, featuring amenities like a completed pool, clubhouse with fitness center, a large gathering room, and a catering kitchen. Each home in Blacksmith Run has city water and community sewer, and the homes are low maintenance. This allows you to really enjoy where you live without having to worry about the upkeep of your house. You’ll also find these homes are fitted with upscale finishes like granite counter tops, stainless appliances and hardwoods, which are included in the price of the home, as well as the lot it sits on! At Blacksmith Run, you’re not far from cities like Hendersonville, Asheville, and Lake Lure, so there will never be a shortage of things to do and explore. 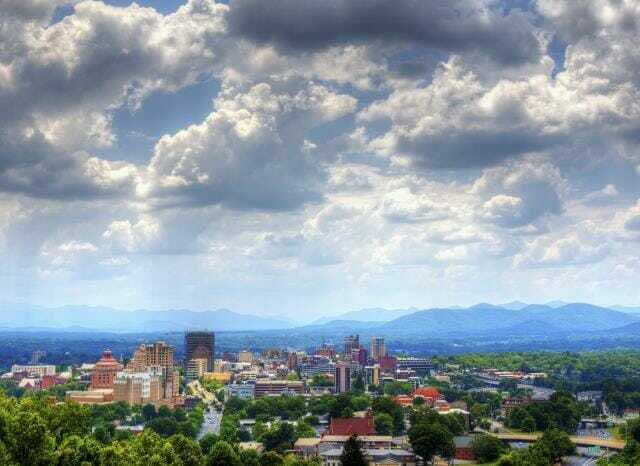 Spend the day in Asheville roaming the grounds of the Biltmore Estate, America’s largest private family home. Or, stroll the streets and browse the shops of historic downtown Hendersonville, home of the NC Apple Festival. When Vista Developers discovered the beauty of the Blue Ridge Mountains, they wanted to share this ideal lifestyle with others. 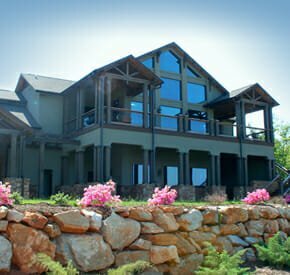 So they created communities in and near exciting mountain cities, with grand mountain views and luxurious features and upscale finishes in the homes. And the best part is, you can have your dream home in the Blue Ridge Mountains. Vista Developers can help you make it real.